There are things to be made aware of with a failing roof. A Campbell Hall roof replacement can happen at any time and for a variety of reasons. According to the NRCA (National Roofing Contractors Association), annual roof inspections are necessary in the spring and the fall. A roof should be replaced whenever you’re putting your home up for sale. A conventional roof only lasts about 20 years. No potential home buyer is going to purchase a home they need to do things with. 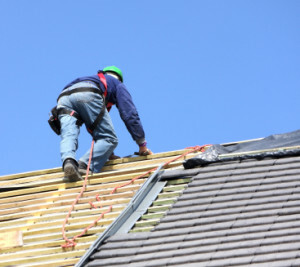 A roof replacement will boost the sale of a home as it is the first thing people see when pulling up and the last thing they notice before leaving. It also shows how well your properly has been maintained over the years. As mentioned earlier, most roofs only last about 20 years and then need to be replaced on Campbell Hall homes. Those that remain past their expiration date often lead to big problems which result on replacements eventually. Curled shingles are signs of needing a new roof. Once shingles become curled, it means they are way beyond their life expectancy. It can also be a direct result of a defective roof. Either way you need a professional roofer. If you go to clean your gutters and you notice that there’s shingle debris, that means you are going to have to replace the roof. When shingles lose their granules, it means they are at the end of their cycle. Once you spot daylight coming through the roof boards, it is all down hill from there. Moisture may be getting into the insulation as well. This often means replacing both for a more energy efficient home. Professional installations are important. A professional roofer knows the difference between a slate and asphalt shingle. They also know how to put a new roofing system on a home without experiencing problems. When you begin to notice these and other roofing problems, start looking into new roofing systems. There’s many different types that can suit your needs. Metal and asphalt roofs are among the most common. If you need a Campbell Hall roof replacement, just call your local roofers at Serrano II. They are a 2nd generation of roofers since 1968. they also provide roof repairs and other types of maintenance which can improve the structure of your roof. If you are looking for a roof replacement in Campbell Hall, please call 845-692-2226 or fill out our online request form.